This course is required for all first time freshman and transfer students wanting to major in education through the Sterling Teacher Education Program. This class will provide teacher candidates with the knowledge and skills necessary to be admitted into the STEP program. Areas addressed will include: routes to licensure, ACT/GPA requirements, Intro to the STEP program and handbook, creation of four-year plan, and realizing strengths and weaknesses. An overview of the teaching profession and an examination of the role schools play in the fabric of American society.  Coursework will include orientation to the Sterling College Teacher Education Program concept of the teacher as Servant Leader, portfolio design and expectations, education reform at the state and national level, and standards-based education. Emphasis will be placed on contemporary professional, ethical, and legal issues and problems facing American schools and the effect changes in American society have upon the purpose and areas of emphasis in American schools. This class will provide teacher candidates with the knowledge and skills necessary to accomplish appropriate classroom management. Areas addressed will include: student motivation, behavior interventions, homework,grading, and parent/guardian communication. This course provides an overview of categorical exceptionalities delineated in the law, service delivery systems,advocacy groups, the concept of least restrictive alternatives, and the purpose and function of the IEP. The course is designed to introduce pre-service teachers to handicapping conditions of children enrolled in regular education and give them alternatives for instruction and assessment of these students. It also serves as a foundation for teachers wishing to focus on the area of special education. 20 hours field experience is required. This course focuses on the impacting factors of cultural diversity within an educational setting. Experiences are designed to examine critical elements of the educational process that are influenced by culture and to increase awareness, knowledge and skill in providing culturally responsive curriculum and instruction within a classroom setting. Off campus experiences are required. In this course teacher candidates will develop and extend knowledge and skills in classroom instruction and assessment. Candidates will develop teacher-centered and student-centered lesson plans, and identify and design appropriate assessment tools. Unit planning and micro-teaching are integral components of the course. This course assists teacher candidates in applying theories and philosophies of child and adolescent development to the education process. Case studies will be discussed and assessed with Praxis scoring rubric. 10 hours of field experience required. This course will explore the wide range of instructional applications of computer technology in K-12classrooms. Students will learn to integrate and model good and innovative uses of current educational technology, facilitated by using the computer as an administrative tool, by using technology as an information delivery medium to enhance communication as a source of information, and as a student productivity tool.Current technology issues and ISTE standards for teachers and students will also be addressed. Prerequisite: A basic understanding of computer operations and software applications. This class will allow teacher candidates an opportunity to plan a variety of strategies for teaching reading, vocabulary, and writing appropriate to content in grades 4-12; assess writing using the 6-trait Writing Assessment; integrate reading and writing within content areas and across the curriculum. 30-hour field experience required. Prerequisite: ED219. This course is required for all K-6, 6-12, and PreK-12 students. Students individually and collaboratively research and discuss major topics in education. Open to juniors and seniors, this course prepares teacher candidates for clinical teaching experience and subsequent employment. It is recommended this course betaken the semester prior to Clinical Teaching Experience. Prerequisite: Completion of all Level I professional education courses. Want to know more about our academic requirements? Download the Sterling Teacher Education Criteria Status Sheet. For more information about program data and admission requirements, visit our education information page.